Cuneo Mansion and Gardens stands as a monument to old-world elegance amid genteel country life. As a living museum, the building and gardens preserve in vivid detail the grace of an era and way of life. The grand spaces of the Venetian style architecture, filled with antique furnishings and artwork and the quiet paths through the manicured grounds allow guests to savor the elegant splendor of the "gilded age." 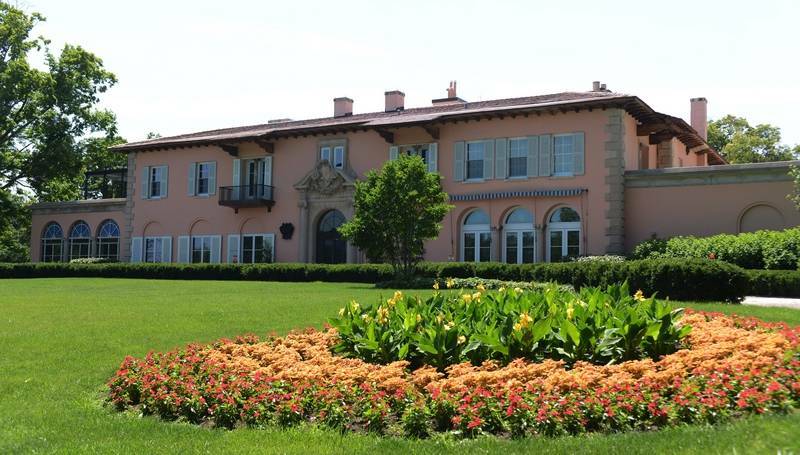 Built in 1916 as the home of Samuel Insull, an original founder of the General Electric Company, designed by well-known Chicago architect, Benjamin Marshall, and landscaping created by the world-renowned, Jens Jensen, the mansion has a rich Chicago history. Free "second Saturdays" are in the plans for 2019, with a schedule to be determined (which will be shared as soon as dates are confirmed). Cuneo Mansion and Gardens is open for tours, corporate events, wedding receptions, academic programming, and community events.